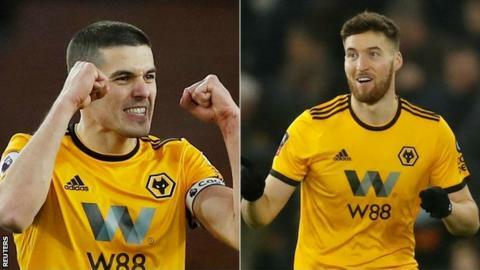 Wolves defenders Conor Coady and Matt Doherty have signed new contracts with the Premier League club until 2023. Captain Coady, 25, has played every minute of Wolves' top-flight campaign, having joined the club in 2015. Republic of Ireland wing-back Doherty, 27, has scored six times in all competitions for Nuno Espirito Santo's side this season. Wolves are seventh in the Premier League table having been promoted from the Championship last year.